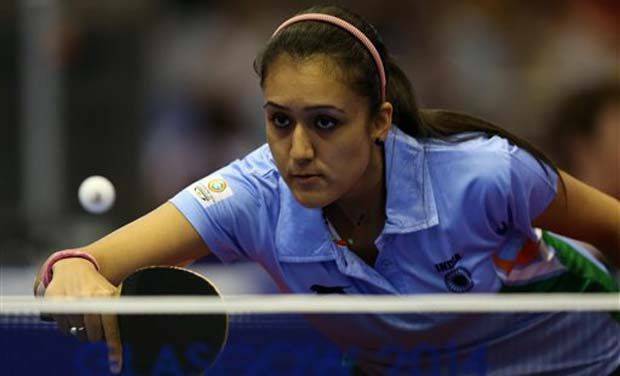 Interview with Manika Batra: "I don’t want to go to Rio Olympics and return without a medal"
Table Tennis in India has been constantly improving and many people are making a career out of it lately. Manika Batra is not an exception and she is working quite hard for it. The top-ranked Indian mesmerized us with a breathtaking performance that saw her finish with three gold medals and one silver at the recently-concluded 12th South Asian Games. The 20-year-old girl from Delhi once again proved that she is one the best paddlers in India. What was really heartening to see was the never-say-die attitude of Manika. She has her sights set firmly on the 2016 Rio Olympics and will continue to reach greater heights like this for as long as she plays. The country’s most loved paddler talks about her love for the game and much more in an exclusive interview. Q: When did you start playing table tennis? My elder sister used to play even before I was born. I started playing at the age of 5. She influenced me at the early stages of my career and always pushed me to work harder. Q: You have been surrounded by a lot of senior players and since you are just 20, how much have you learned from them? I have learned a lot from them. Not just that, they have supported me a lot in the past few years which helped me to develop my game. Mouma Das and Neha Agarwal have always been my strength and support throughout my career. Q: Tell us some of you career highlights. How is the feeling of winning? I got two silver medals and two bronze in the Commonwealth Championship this year. Also, I was a quarter-finalist at the 2014 Commonwealth Games. To be very honest, the feeling of winning is amazing. Winning three golds at the South Asian Games was a very proud moment for me. I intend to win more medals for India in the near future. Q: Which players do you see as your main competitors in India? All the top 5 ranked paddlers in India are my competitors. All of them are talented and I know I have to improve my game every single day for that. Q: More practice or more matches? Which helps you more? Practice is much more important. A player needs to have both skill and confidence. If you are not confident when you are 9-10 down, you cannot win that game. Q: Have you been tempted to go overseas to play table tennis? This year, I might go to Germany or Austria. Q: Has real life ever been hard for you? Representing the country in a lesser-followed sport is challenging. I am doing hard work and I know if I represent India in the Olympics, I will win a medal. Q: What are your goals for 2016? I would like to improve my World Ranking from 160 and want to be in the top 50. This my immediate goal. I will be playing in the World Championships in Malaysia this month and I am hoping to win a medal there. After that, we have the Olympic qualifiers. I don’t want to go to Rio and return without a medal. It has to be Sachin Tendulkar. Also, I admire Saina Nehwal and I am very much inspired by her. Q: Which is your favorite tournament? I started representing India in 2008. Chile Open is very close to my heart. I defeated the World No. 6 there and that has been my biggest win till date. Q: What do you think are the main issues Indian paddlers face? Lack of media coverage is one main issue which we face. Even after performing well, people focus more on how India is performing in Cricket. In Shillong, it was so cold but there were no heaters. The Table Tennis Federation of India needs to take care of these things. We need to perform and keep on winning trophies. Q: What will be your advice to the upcoming talents who are pursuing the game? The Indian players are missing out on fitness. This is one of the reasons why we cannot compete at the international level. Work on training regimes which are harder, longer, and more technical. Aim high and keep on working hard.